Everything you need to know about the world's most popular cryptocurrency. Bitcoin has a rich history in terms of where it originated and how it came about. While the currency was officially founded in 2008 with the publication of its White Paper, its origins can be traced back far further than that. Firstly, there have been attempts at making other cryptocurrencies and ledgers way back in the past. 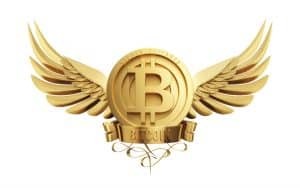 B-Money and Bit Gold are two of Bitcoin’s precursors that never actually saw the light of day. There were also certain e-protocols created by various individuals which served as the very basis of Bitcoin the currency and paved the way for what it can achieve. However, throughout the 2000s, there was a different beast being developed. On August 18, 2008, Bitcoin.org was registered as a domain name. 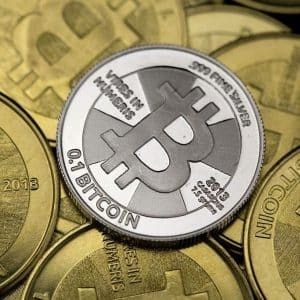 By October of the same year, a document entitled “Bitcoin: A Peer to Peer Electronic System” was published by an entity using the name ‘Satoshi Nakamoto.’ The network then came into being a reality on the January 3, 2009, when Satoshi Nakamoto mined the “genesis block” which was rewarded at 50 bitcoin. The identity of the enigmatic Satoshi Nakamoto has long been a mystery in crypto circles and has caused much debate. The name is obviously a pseudonym, but no one seems to quite know who the person behind the figure is. For example, Craig Steven Wright has come out and stated that he is the inventor of the currency, but there is quite a bit of skepticism about that claim. Wright is an Australian computer scientist and entrepreneur who has shown a keen interest and history of developing cryptocurrencies. Nick Szabo and Dorian Nakamoto have also been named as potential creators of the currency. While the true identity of Satoshi is unknown, the most likely theory seems to be that that the currency was created by more than one individual and was the work of a team of people. So What is Bitcoin, Exactly? Bitcoin was created to be a decentralized currency that would function as a form of ‘digital cash.’ It could be used instantly and anonymously to transact online and in other digital contexts. A decentralized currency is one that does not have a central regulatory body monitoring it and is instead independent. Thus it doesn’t have a central authority. Additionally, it is supposed to work in an alternative manner to other currencies and in effect cut out the ‘middleman’ and reduce reliance on major, centralized financial institutions and payment processors. Essentially, Bitcoin was created to allow people to have a secure, digital way to store their funds, and to send and receive transactions without have to go through a third-party. In theory, this protects personal data and reduce costs (although the functionality of these features has been heavily questioned). Bitcoin bypasses all the conceptions of banks and credit and instead the currency is securely processed in “blocks” of transactions, based upon the blockchain network to ensure the integrity of the coin is maintained. These transactions are more secure than others because Bitcoin transactions are signed off by the Elliptic Curve Digital Signature Algorithm (ECDA). This signature is not too dissimilar to signatures on cheques, but it is mathematically verifiable and cannot be forged, with the private keys of users acting as the means of signing this hypothetical cheque. The only major flaw in the cryptocurrency’s code was spotted in 2010, which raised some concerns in terms of its security. A user was effectively able to create a Bitcoin transaction which let him generate as many bitcoins as possible, which occurred when someone generated 184 Bitcoins. This flaw was shortly fixed, however, as the transaction was erased from the record of transactions which is maintained by the company. How Does Bitcoin’s Blockchain Work? Bitcoin’s network runs on a Proof-of-Work algorithm. 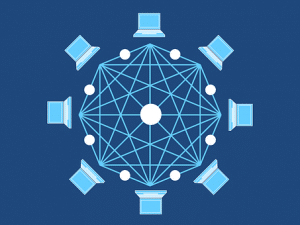 This algorithm is the means by which new Bitcoins are produced, and transactions are confirmed, a process known as mining. The blockchain is virtually impervious to cyber attacks that often affect centralized entities: denial of service, as well as spam and other potentially malicious attacks. It is also incredibly difficult to falsify transactions on the Bitcoin network. A user needs to be able to understand what a hash function is in this context, given its complexity. In essence, this function makes it so any kind of data can be mapped in any amount for a specific type of reason. If secured properly, this function cannot be differentiated from a random function in a given situation. In Proof of Work, the individual who is chosen to confirm a transaction is usually the individual with the most “hash power” (computing power.) They use their hash power to solve complex equations; once an answer is discovered, a ‘block’ (a small group) of transactions are confirmed. This typically happens at a rate of 3-4 transactions per second. In return for their work, miners are given rewards in the form of BTC tokens. If this is done properly, and the correct cryptographical aspects are applied, then the solution should only be found by applying the “brute force” method, which entails looking to try every single possible combination until the correct answer is found. This system has been effective until the present time, but one must also note that it does consume a vast quantity of energy. To illustrate this point, the vast majority of countries in Africa use up less energy than the network for mining Bitcoin. An alternative to Proof of Work, the Proof of Stake algorithm, limits the amount of currency one can utilize in the space of given time. This system is not used by Bitcoin, but is used for coins such as Blackcoin; This system allows an individual to bypass problems such as the vast energy consumption which comes with Proof-of-Work, and to create a greener and energy efficient method to mine Bitcoin. However, this algorithm is not quite as popular as Proof of Work. The Bitcoin Network, despite its numerous strengths, has some issues which need addressing about how the currency should work. The two primary problems associated with Bitcoin’s high fees and scalability. The Bitcoin network has seen an increased number of transactions in the past few years, which has caused the network to come under strain. In other words, there are simply too many transactions for the networks to process in a reasonable amount of time. On a practical level, this means that transactions can take hours to complete and be extremely expensive. While banks and PayPal also at times charge high fees for the processing of a transaction, these pale in comparison to how much the Bitcoin system charges. Over the years, the fees have continued to increase which has made the network less effective for users and has led to many problems. It is also evident that the fees vary depending on the size of a transaction which means that users can never be sure of what they’re actually paying; the size of the fee also varies based on the exchange which is used in a particular scenario. The varying fees can also be applied to varying terms which continues to create a degree of uncertainty given a situation and how a particular aspect may work. Furthermore, if one decides to mine the currency (which is how transactions are confirmed and new Bitcoins come into existence), then the person is faced with a wide array of problems that can occur. It takes a long time and a lot of energy to mine the coin, and mining is really only profitable if you own a roomful of expensive equipment. This is because Bitcoin’s mining difficulty was designed to increase over time; transactions take an increasing amount of energy and hashpower (computing power) to be confirmed. The Bitcoin network has also struggled in terms of easy access for users who want to use their Bitcoins to pay for things. There are not a great number of methods for paying which are ready for the currency, leaving users limited to what they can do with their coins. The currency itself is not accepted by many places and those that do place restrictions on how it can be used. This means that the primary purpose of Bitcoin, which is a currency, is severely undermined by logistics. Effectively it cannot be said to function as the ‘digital cash’ that it was originally intended to be. These limitations need to be addressed in the long-run if the currency is to ensure that it continues its growth and evolves into something which can be considered a serious contender for financial transactions in the future. If these problems are not alleviated, then it would make little sense for anyone to use Bitcoin as anything other than a long-term store of value, and even that could be a risky practice. A major feature of Bitcoin over the course of its existence has been the wild fluctuations in its price. It has seen an astronomical rise in value since its inception, but it has also experienced major losses in recent months. 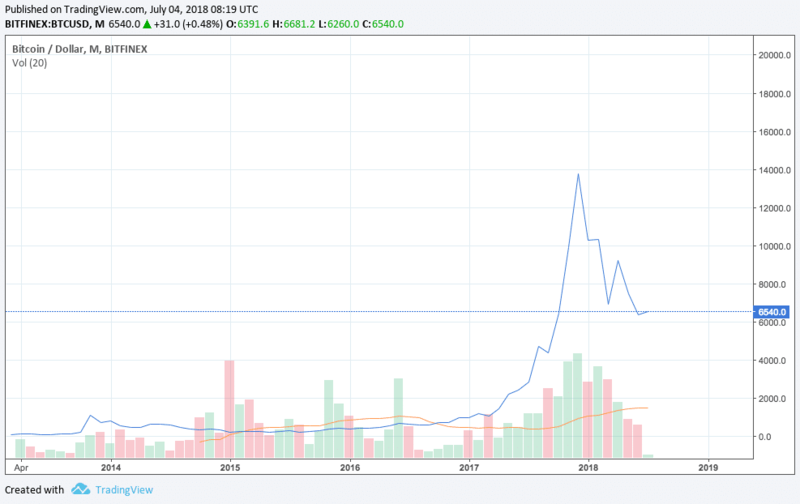 At the time of writing Bitcoin’s value is at around $6700 which is far less than it was in November of 2017 when it broke the $10,000 barrier for the first time. The fall in the value of the coin occurred due to various pieces of news over the year, such as the fact that 80 percent of the Bitcoin in existence has already been mined, or the hack of the Coincheck Exchange. As such it is clear that the value of the coin is something which fluctuates wildly. This affects other cryptocurrencies as well, as the price of Bitcoin tends to influence how well other coins perform. Bitcoin’s epic fall was felt in shockwaves throughout the cryptocurrency markets. 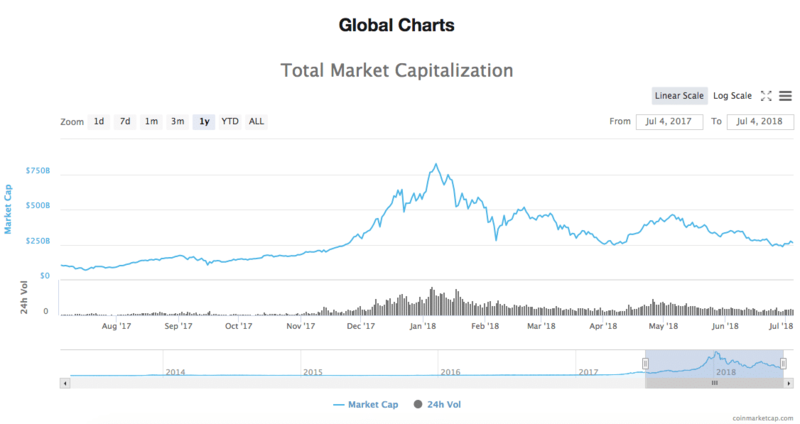 The total market capitalization of all cryptocurrencies fell along with Bitcoin’s. Bitcoins can be used in numerous places and have a wide array of uses for many an individual. In recent times, the desire to use Bitcoin as a form of digital cash has reduced in many ways and does not have the same pull as it perhaps used to. That being said, there are still numerous ways that one can use their Bitcoins in the everyday world which can be found below. Bitcoin can be used for gift cards from various places such as Gyft or eGyfter; some merchants offer users who use these gift cards certain discounts. Websites such as Expedia also utilize the currency for travel which is particularly useful for those looking to plan their travel arrangements. Given the size of the company, this option, in particular, is rather impressive. The Microsoft, App Store is another major place which accepts Bitcoins, pushing the legitimacy of the coin even further. There are numerous other ways the coin can be used, and there are likely to be more in the future. A key aspect of the coin also lies in the trade of this coin for other important currencies such as Ethereum which allow for the coin to be able to grow in size and make the vast amount of trade in the crypto world. To fully utilize this, however, one would need to look at markets and ensure that they can make the most money possible with the maximum knowledge.